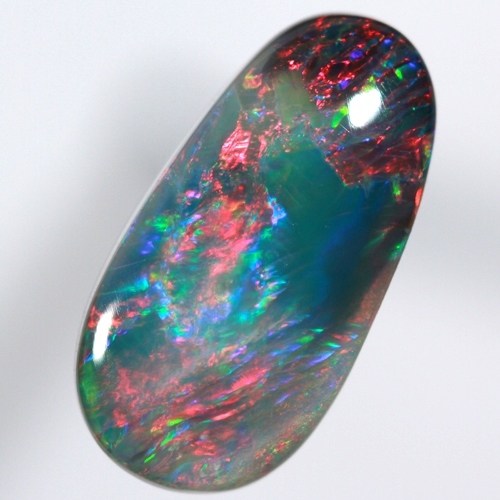 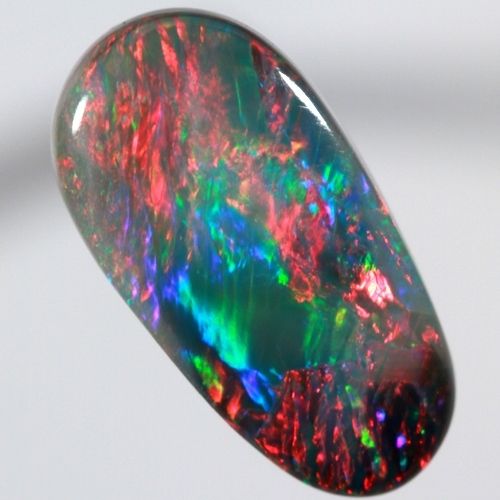 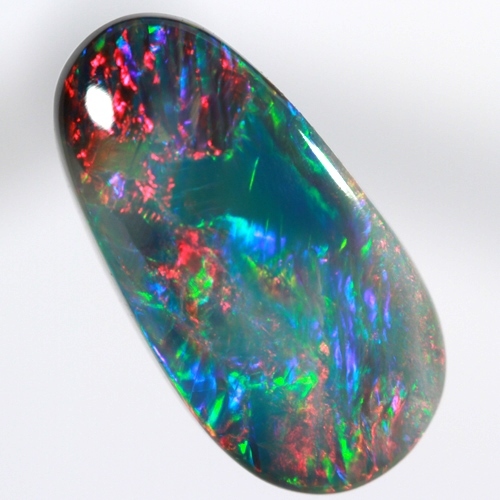 Bright fiery red and peacock blue with a touch of bottle green move in rolling flashes over the opal. 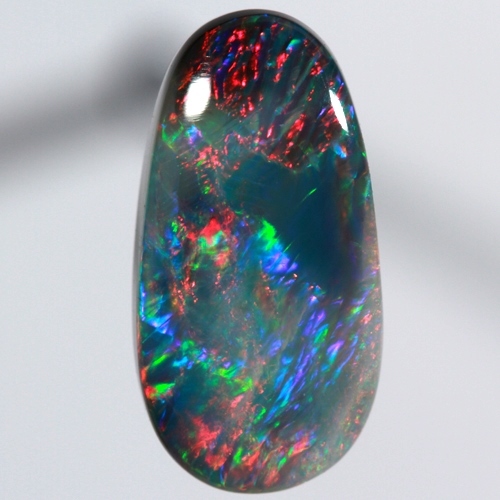 The colours move to and fro over the face of the opal producing a spectacular show with the red moving over the other colours. 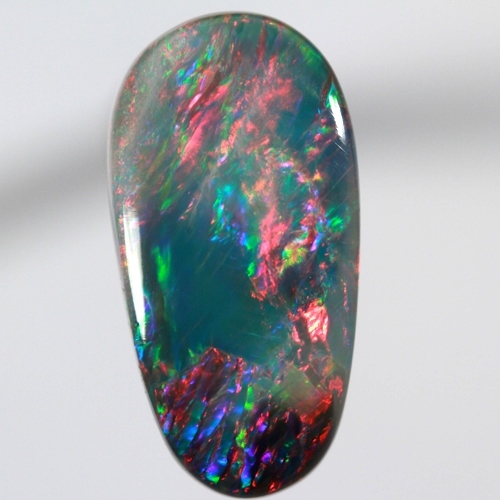 All on a background of gorgeous gemmy green. 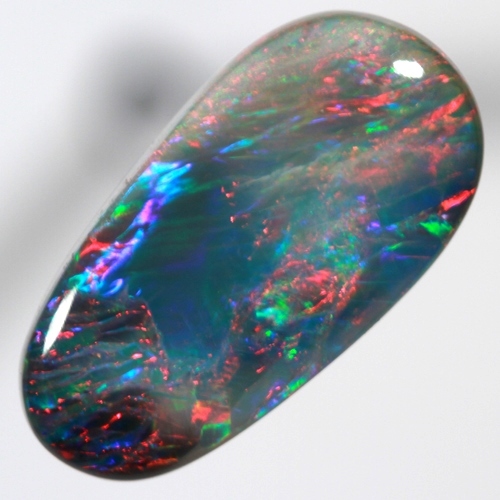 The slightest movement makes this opal come alive as the colours switch and change.